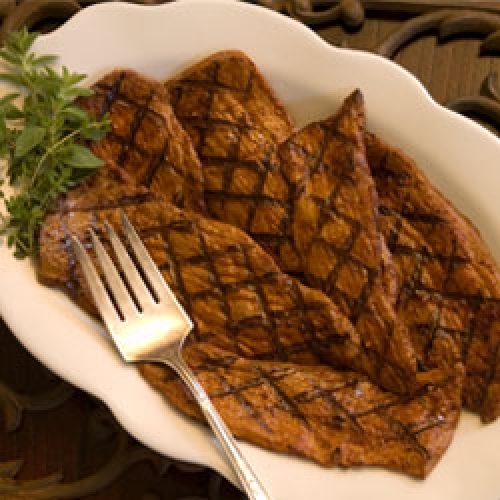 Combine Marinade ingredients in large plastic or glass bowl. Place beef steak and marinade in a large zip top bag and turn steak to coat. To grill flank steak, place steak on grid over medium, ash-covered coals or a gas grill set to medium heat. Grill, uncovered, 17 to 21 minutes covered turning occasionally. remove steak when it's about 10º below the final desired temperature and rest under foil for about 5 - 10 minutes, or until final temperature is reached. Carve steak across the grain into thin slices.